SERCO machines represent the culmination of over 40 years of technical expertise, know-how and SERCO'S understanding of the key issues of their industrial partners throughout the world. SERCO’s major advantage lies in their ability to design equipment whose component elements provide total rigidity, which, in turn, enables machining to be done with accuracy to 0.01mm. What makes SERCO machines unique and particularly adapted to on-site machining is illustrated by their ease of installation and set-up. 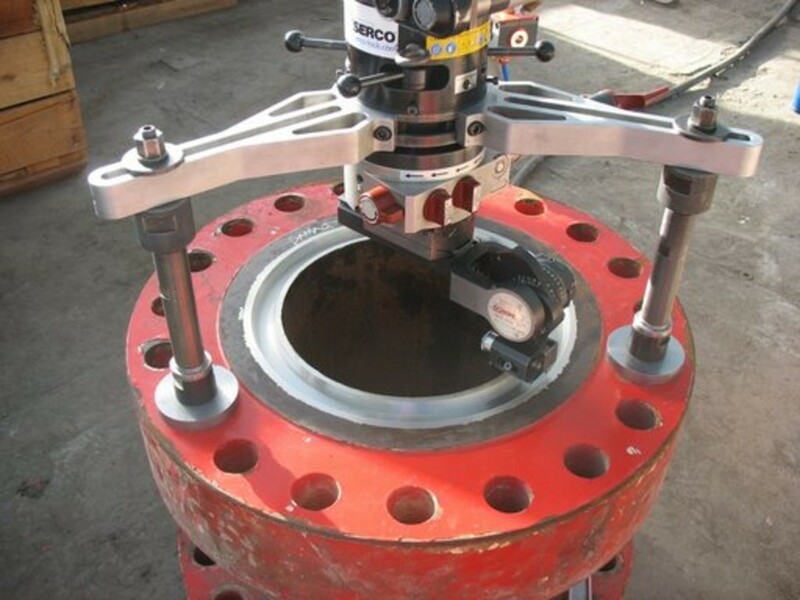 To set-up a flange-facing machine, adjustments need to be made in concentricity and parallelism. SERCO is the only manufacturer in the world capable of building equipment that enables these two set-up operations to be carried out totally independently.